New research from Yale University shows that counties with a higher number of dentists per capita have strikingly lower rates of obesity, finding that counties that had an additional dentist for every 10,000 people had a 1-percentage point lower rate of obesity than the counties without as many dentists. The fight against obesity in the United States may have some unexpected allies—dentists. New research by the Yale School of Public Health has found that counties with a higher number of dentists per capita have strikingly lower rates of obesity than their peers, even within the same state. The study, published in the September 1 Journal of the American Dental Association, analyzed data from 2,841 counties across the United States. Among the factors considered were the percentage of obese adults — those with a body mass index of 30 or greater — and the number of primary care physicians and dentists per 10,000 people. Researchers found that when comparing counties with the same population size, the counties that had an additional dentist for every 10,000 people had a 1-percentage point lower rate of obesity than the counties without as many dentists. Lead author Jessica Holzer, a postdoctoral fellow in the Department of Health Policy and Management at Yale, said that while the relationship between dentists and obesity is still not fully understood, it might be associated with additional resources in a county, or better general health behaviors among all or a portion of county residents. Alternatively, where dentists take an active role in discussing obesity with their patients, there could be positive impacts on healthy behaviors around obesity prevention. “Dentists are concerned with the types of food people, especially children, are eating, including foods implicated in obesity such as sugar-sweetened beverages (soda, sweetened juices) and high-sugar foods, and their advice may help identify and interrupt obesity-producing behaviors in their patients,” said Holzer. Obesity is an extreme health problem in the United States, affecting more than 30% of the population and contributing to more than $150 billion per year in health care costs and lost productivity. Both its prevalence and related costs are expected to increase in the coming decade. The research finding, believed to be the first of its kind, suggests that dentists should be more fully included in understanding how an area’s healthcare landscape affects obesity, Holzer said. It also raises the possibility that further research will uncover significant opportunities for dentists to take a more active role in obesity prevention. Holzer said she and colleagues are planning an analysis of individual-level data to better determine the relationship between obesity and dentistry. The paper was co-authored by Maureen Caravan, an associate research scientist at the Yale School of Public Health and Professor Elizabeth H. Bradley. 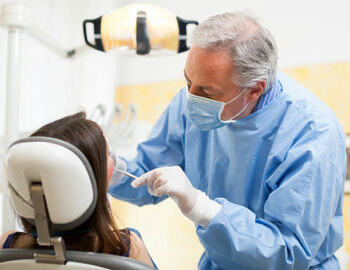 Be the first to comment on "Counties With a Higher Number of Dentists Per Capita Have Lower Rates of Obesity"